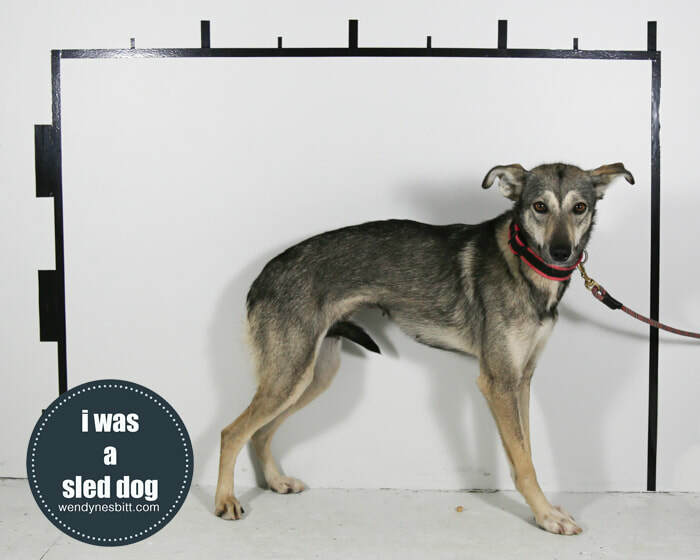 Known history: she came from Thunder Bay Humane Society after being rescued from trapper's cabin in Long Lac Greenstone, Ontario. 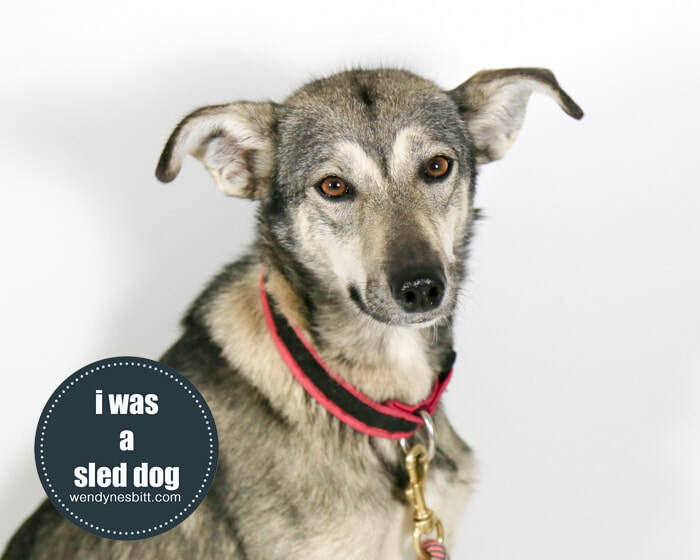 SESSION NOTE ~ Ashley was one of a group of sled dogs found abandoned, attached to 1" tethers and left for dead just outside of Thunder Bay, ON (#thunderbay12). When they were rescued, three of the 15 dogs had died. Through the amazing network of connections, some of the dogs were brought out to BC where they had a chance at finding an adoptive home. I was there when Ashley and Mary Kate arrived at the airport in Victoria - they were greeted when signs and smiles. Ashley seemed pretty weirded out by being at my studio, but she did really well - partly because she had three sleddie buddies with her that day! Ashley has since been adopted and is living a pretty sweet life.